Stuck in a barbecue rut? Here are a few suggestions on how to take your grilling game to the next level. When it comes to grilling, it’s time to think beyond burgers, dogs and chicken kebabs. 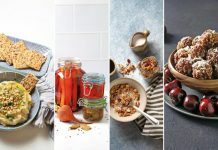 Watermelon, lettuce (yes, lettuce) and a whole range of veggies can take the heat, and there are plenty of ways to add flavor and finesse to your favorite fish and meats. Cayman’s warm climate makes outdoor grills and kitchens popular, a tradition dating to when meals were cooked outside in the wooden caboose. Hardwood, quite often logwood, was used instead of charcoal. 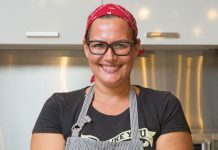 This old-time method of cooking is enjoying something of a revival with restaurants such as The Brasserie embracing this Caymanian tradition. Andres studied in Argentina, where the traditional asado reigns supreme. 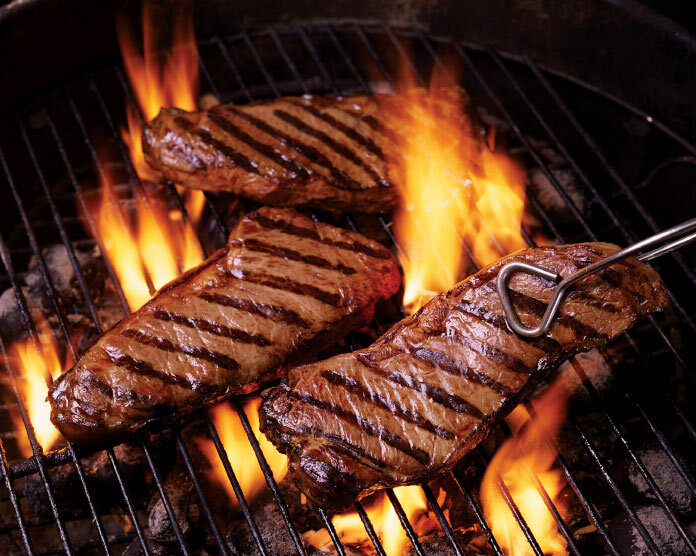 Wood enhances flavor by giving meats a smoky taste that is not overpowering. Slow cooking is also key. Chef Dylan Benoit of Prime Kitchen suggests going back – way back – for inspiration on the grill. Chef Sara Mair-Doak of Smokies BBQ Smokehouse also has a few ideas to up the ante. “You can use different types of meats and cuts,” she says. 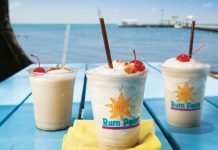 For example, she suggests grilling a goat T-bone or chop, available from Bluff Farms in Cayman Brac (which has an outlet in Cannon Place, formerly known as the Mirco Centre). Expect to see more veggie alternatives gracing the grill. Jackfruit and cauliflower are two examples giving meat a run for its money. “Cauliflower cut in to thick pieces cook just like steaks,” says Jamie. “Vegetables in general are great on the barbecue and can be cooked while you’re waiting for your coals to be ready. Experiment with some unusual produce such as Romaine lettuce: slice in half length-wise with stem still attached, drizzle with olive oil and lemon juice, and grill over medium-high heat for one to two minutes on each side. Top with dressing, croutons and Parmesan cheese. Marinated Halloumi cheese and tofu are other great grilling options. 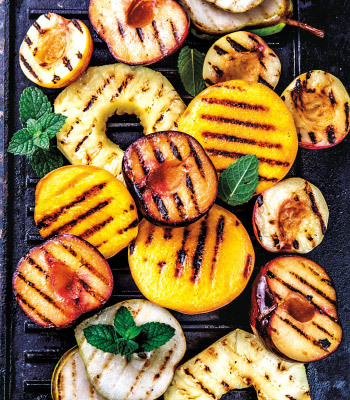 Fruit is also grill-friendly, with pineapple, peaches, mango, bananas, pears and grapefruit among the choices. Check your smoke. You can tell if something is burning by the color and thickness of your smoke. The darker and thicker it is, the quicker you need to run for the extinguisher. Wait for the gray. Don’t start cooking until the flames have died and the coals are gray. If not, you will end up with food that is burnt on the outside and raw in the middle. Ditch the lighter fluid. My best hack for lighting your grill is to use cardboard egg crates. They are perfect for placing and spacing your briquettes or charcoal on, and as they are made from compressed cardboard they don’t burn out quickly like a piece of rolled up paper will. And please, never use lighting fluids – your food will end up tasting of it. Start at room temperature. Never place any steak or meat from the cooler directly on the grill. Give it time to warm up to room temperature for better results. Keep meat moist. Use coarse salt or brine over steaks when you’re cooking to keep them moist and tender. Want to cook chicken? Brine it an hour in advance and it’ll become fully flavored. Rub in extra flavor. Try using dry rubs with spices and herbs. In my opinion, less is always more; otherwise you’ll cover the flavors of the meat. 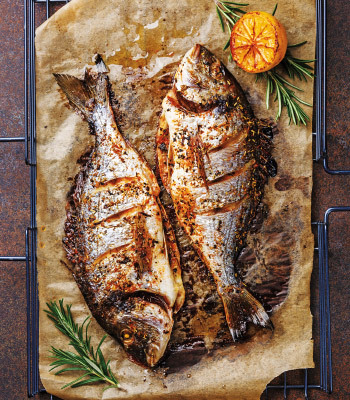 Cook fish en papillote. The best way to cook fish if it’s your first time doing it over a grill is wrapping it with aluminium foil (or even a plantain leaf) with some fresh herbs and veggies inside. This way of preparation keeps all the moisture and aromas inside the papillote. 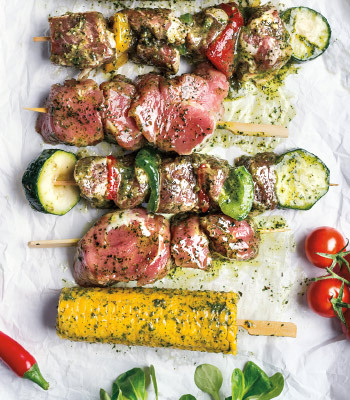 Play around with marinades. These open up a whole new world of flavors. If you marinate a skirt steak in chimichurri overnight, it will absorb many of the herbaceous flavors. Then season it liberally with salt, sear to medium rare on the grill and you have the perfect filling for tacos. Be patient. Cooking over open fire is very different than on a stove. It’s imperative you start your grill early and let it come up to temperature to ensure proper heat for searing. If you’re cooking low and slow for smoking a brisket, don’t rush it – good things come to those who wait.